The cannabis industry and Instructional Designer role are getting increasingly complex as they need multimodal skills to perform a variety of roles. In the cannabis industry, we need to experiment with various design modalities such as designing and developing online communities of practice, video blogs, and mobile learning for a workforce that combines various demographics, and is getting increasingly mobile and remote. In addition, corporate designers are now required to provide social and informal learning experiences to employees on flexible learning mediums such as mobile phones or iPads rather than to focus on designing singular classroom training events or a batch of eLearning modules. At the same time, they also need to perform non-design functions such as videography, Project Management, and building client relationships. While Instructional Designers are expected to adopt latest web 2.0 tools and technologies to train employees in the cannabis industry, they have not yet fully recognized their own learning need to be more innovative, and improve their everyday learning and design practice. Contemporary research notes that corporate Instructional Designers often run the risk of maintaining their learning, that is, learning from routinized work practices and recurring design situations at work. Common reasons why designers find on-the-job challenging in the cannabis industry, especially within this context of the requirement to innovate are lack of development support, project deadlines, and competing priorities. Other external reasons why design professionals might inadvertently maintain their learning are frequent revisions of critical competencies in the area as outlined by organizations such as the Association for Talent Development, changing job requirements, and the influx of interdisciplinary skills, newer technology, and concepts in the field. 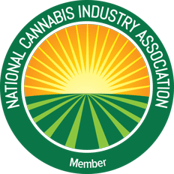 How can then the cannabis industry Instructional Designer learn to be more innovative, especially as the “what” and “how” of learning is getting increasingly complex for them? What Is Innovation And Innovative Learning? Innovation is a complex and iterative process of not only generating new ideas, but also implementing those ideas to produce something beneficial for individuals, groups, organizations, and society. The corporate Instructional Designer needs to create and implement a new thing or idea to be innovative. To this end, the designer needs to intentionally reinterpret a specific design context, consciously recognize significant opportunities for innovation in work situations, as well as be ready to step into the unknown. Such situations can vary from applying a new learning concept to design storyboards, designing a new leadership program, testing new technology to update an existing video to adding new multimedia to an existing eLearning module. To be innovative, Instructional Designers need to embrace innovative learning, that is, building the capacity to act in new situations, or potentially unknown or unforeseen design situations. They need to break away from following linear and formulaic Instructional Design models and theories such as the ADDIE model (Analysis, Design, Develop, Implement and Evaluate). Then there’s Systems Approach model, or the Morrison, Ross, and Kemp model as they seem to reflect similar elements – analyzing learner needs, designing, developing, implementing, and evaluating the learning solution. Design models are conceptual frameworks for practice and do not necessarily reflect the design process and other non-traditional design activities with which designers frequently engage. Instead, cannabis industry Instructional Design teams need to conceptualize principles, flexible models, and adaptable concepts that they develop in actual practice and tailor to specific contexts. Design thinking is one (1) approach that seems to be garnering more and more attention in the corporate Instructional Design industry. The design thinking process taught at the Hasso Plattner Institute of Design at Stanford University gives Instructional Designers the rich potential to be more innovative in what they design and how they design. This design methodology emphasizes human-centered, team-based, and rapid approaches to creating innovative products. The process places empathy with the needs of the end-user at the core and is driven by creative, organic, iterative, and a team-based problem-solving process to arrive at an innovative solution or a product in a variety of fields. Empathize: Know your users and care about their lives to create meaningful innovations. Define: Frame the right problem. This is the only way to create the right solution. Ideate: Generate the broadest range of possibility, and not necessarily focus on coming up with the right idea. Prototype: Build to think. Test to learn. Test: This is an opportunity to learn about your solution and your user. To this end, the cannabis industry Instructional Designer needs to identify themselves as design thinkers who embrace the creative process of design and adopt creative and flexible approaches to designing instruction. They should create their own guiding principles and embody the creative spirit of design by being experimental, playful, curious, and even rebellious with their craft. Design thinking also highlights that Instructional Design shares commonalities with other design fields such as computer programming, graphic design, and marketing. Interdisciplinary action, which is the capacity to collaborate with others who have different viewpoints and specialties, is a critical attribute for innovative behavior in Instructional Design. Instructional Designers should aim to learn from common practices from other fields as different perspectives can help them identify their current constraints or arrive at unknown possibilities and ideas. For example, a learning design team adopted key practices from the Agile approach used by software developers at their company to implement Agile learning design as an innovative Instructional Design methodology. Interdisciplinary action not only helped them see the constraints of following the ADDIE approach, but also introduced them to human-centered, responsive, results-based, and collaborative ways of working. Thus, adapting practices from different disciplines is a vital aspect of innovative cannabis training in Learning Management Systems (or LMS’s). In the end, the quality of what Instructional Designers produce or the learning experiences they create ultimately depends on their capacity to be innovative. Innovation is, after all, the result of Instructional Designers own attitude and approach to their own innovative learning and work practices. This entry was posted in Cannabis Industry, Training Tips and tagged cannabis elearning, cannabis training, lms, marijuana elearning, marijuana training.